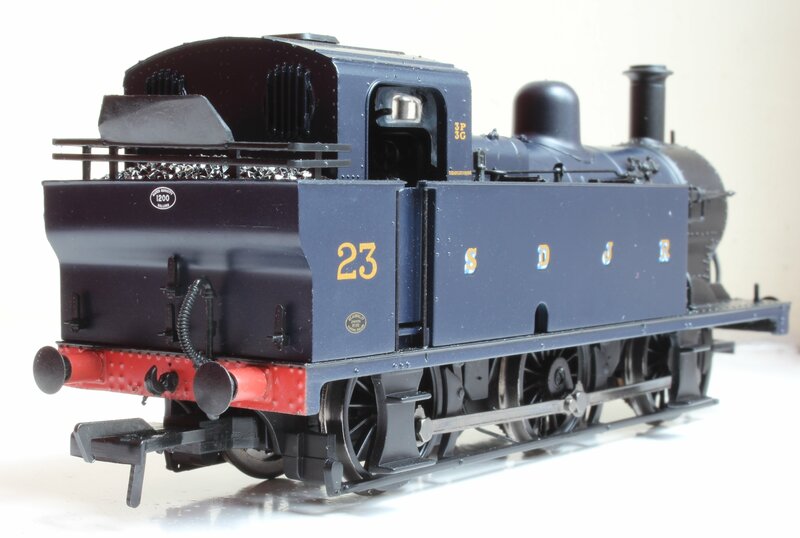 Locoyard’s latest edition to the fleet is Bachmann S&DJR 3F Jinty number 23 (catalogue number 32-233). 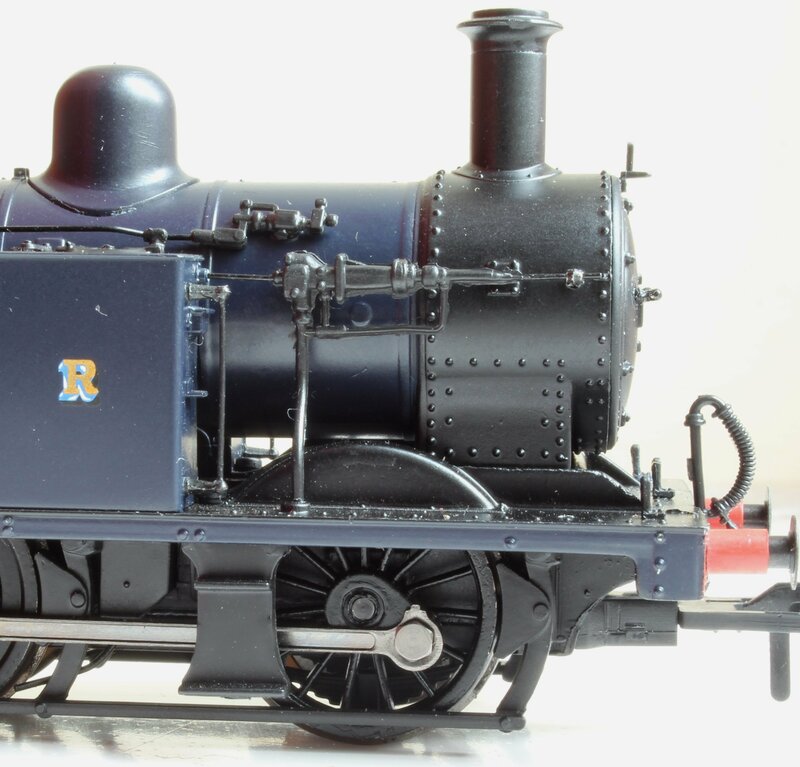 Today we review the model, that is also produced by Hornby in their “Railroad” range (click here for the review). Also, do not forget to check out the many over model steam locomotive reviews that can be found here. 47327 – Midland Railway – Butterley (currently painted as S&DJR number 23 – as modeled here). 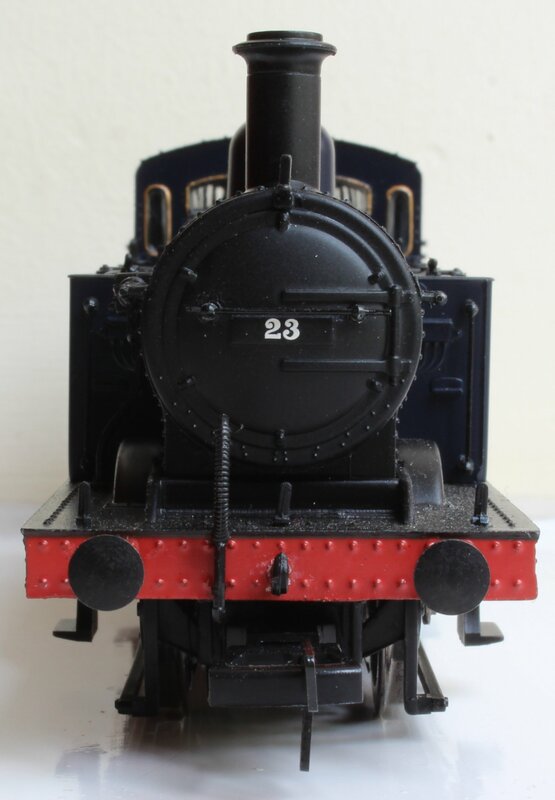 DCC options: DCC Ready (older versions were not DCC Ready, but some where DCC Fitted) – click here for DCC fitting guide for DCC Ready versions. 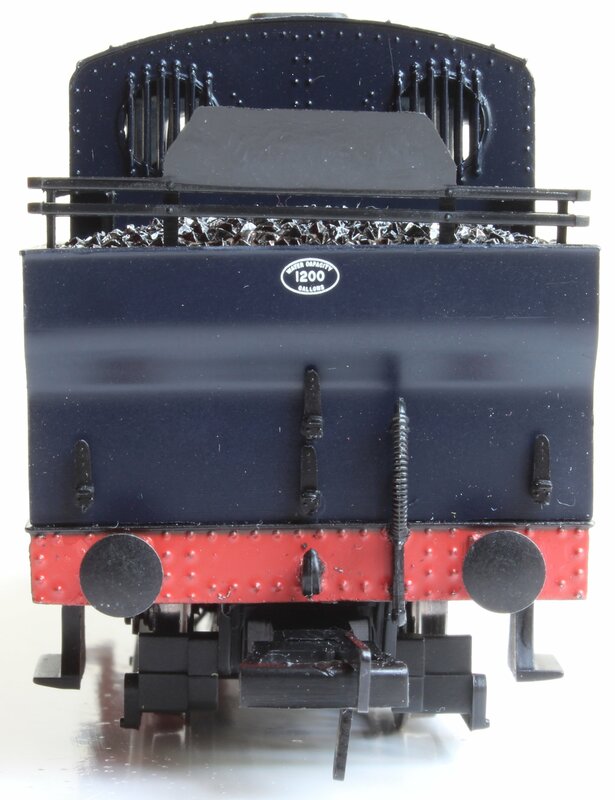 This model bristles with fine details – separately fitted pipework, hand rails, lamp irons, rivet details, vacuum pipes, sprung buffers, cosmetic coupling hooks. Cab detail is good, although no details are picked out in colour. The bunker railings are nice, but not quite straight. The Bachmann model is far more convincing than the Hornby model. The chassis is much better, it also has daylight under the boiler in front of the water tanks – something that Hornby noticeably lacks. The only negative point is that circuit boards and wires can be seen under the boiler. The reviewed model has an excellent finish. 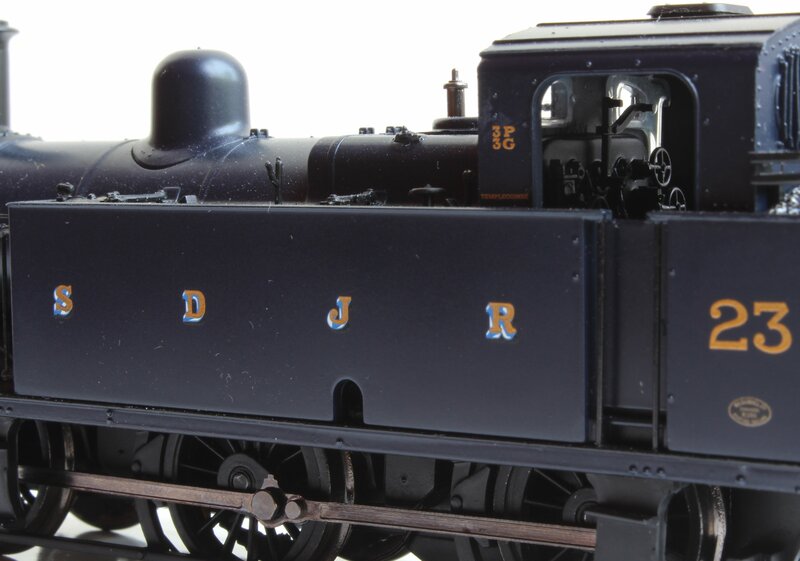 The dark blue livery looks fantastic, as do the transfers and even the builders plate is legible (although printed). There’s no evidence of moulding seams either and the rivetting completes an excellent overall finish. It is smooth, easy to control and although there are quieter mechanisms out there, it is still reasonably quiet. 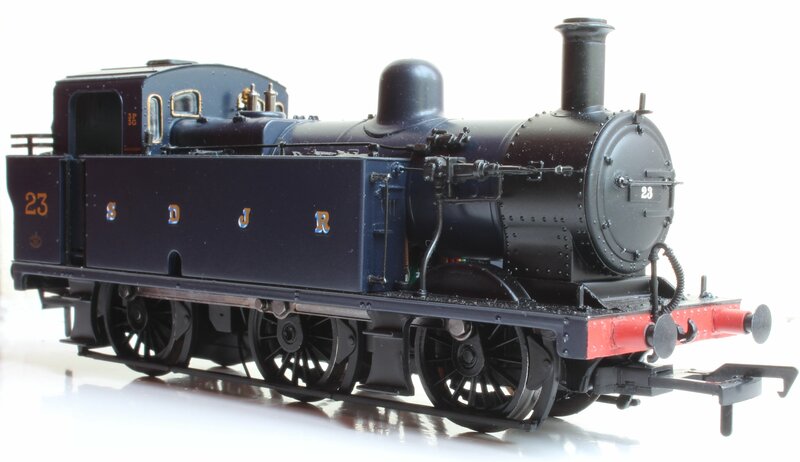 It is reliable too, with good pick-ups; I honestly can’t imagine a 00 scale 0-6-0 to perform any better. It is a strong performer. It easily pulled five bogey carriages around the tight second-radius track with no slipping, even at slow speeds. As with it’s running qualities, there is little that could be done to improve it, if anything. 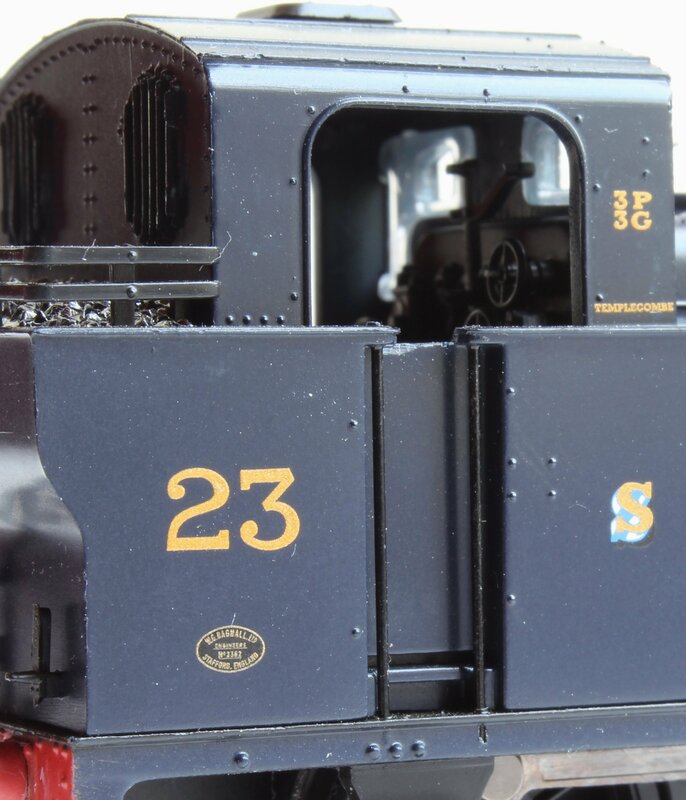 Specification is good – it is well detailed, DCC Ready, has NEM couplings, sprung buffers. You’ll not be surprised to hear that DCC sound is not an option! 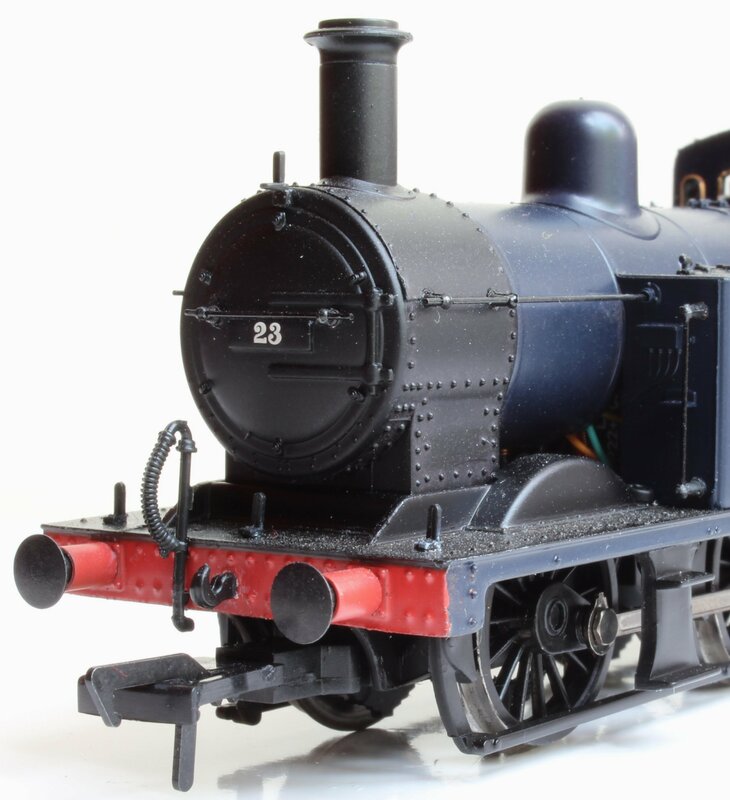 With a typical price around £58-£70, this is not usually a cheap small tank engine and two to three times the price you would pay for a Hornby version. That’s not to say it is bad value though – you are get a great looking, well detailed locomotive that performs exceptionally well. Bargains can be found – click here for one in particular! The overall verdict is very positive – this is a five star model. It’s main fault is the visible cable/circuit boards that are visible under the boiler. It is not quite as well detailed as more modern models, but nevertheless is an excellent package. Importantly, not only does it look good, but it runs very well too. Although it can’t beat the Hornby version in terms of value, it beats it in every other way. The only thing to be wary of is that older models are not DCC ready. This is a highly recommended model and a good buy! You failed to mention a BIG error with this model- no guard irons on the chassis. Thanks for the comment and correcting the review.